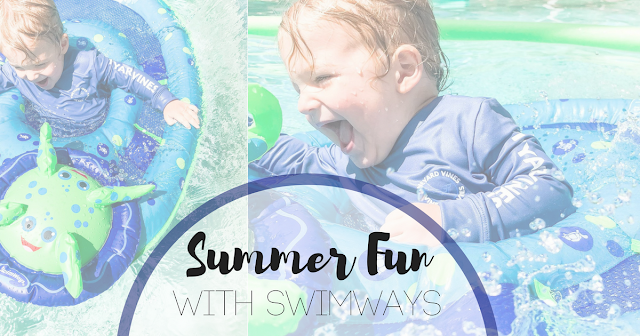 This post was sponsored by SwimWays as part of an Ambassador Program for Influence Central and all opinions expressed in my post are my own. Summer is the best time of year. 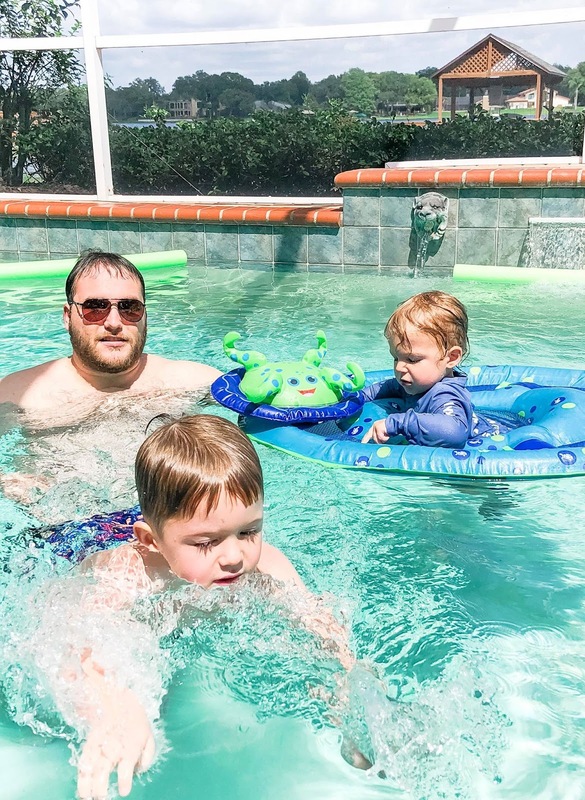 Living in Florida, lots of people think we can swim year round—but actually if you don’t have a heater for your pool, it gets too cold in October. We try to use it as much as possible during the summer, and cool off as much as possible in the 90 degree temps! My big guy likes to swim and wants to swim and jump to me the entire time at the pool. 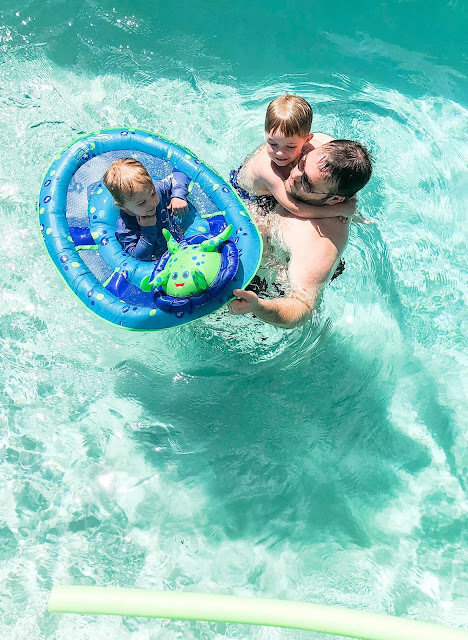 This left the situation a chaotic one, as I would run around the pool trying to fetch the littlest before he would jump in the pool. 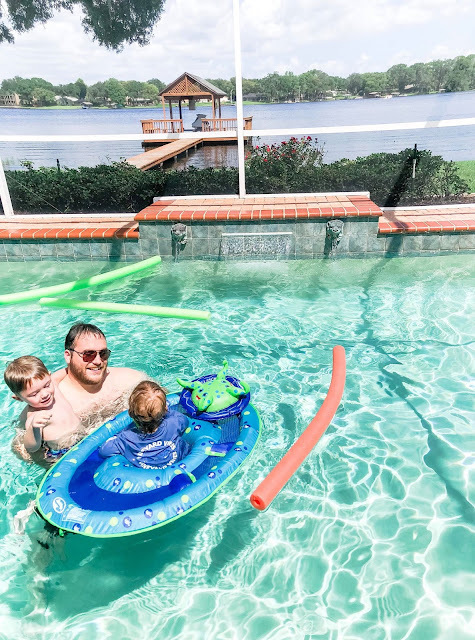 He’s a lover of the water, and seems to think he can swim like his brother. However, he can’t just yet. 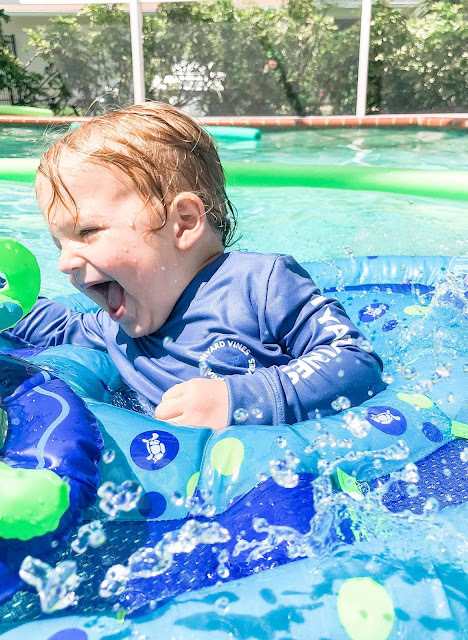 I love that I have the Swimways Baby Spring Float for him, as other flotation devices are too big for him. I enjoy getting to push him around the pool, while I wait for Bennett’s next big jump. 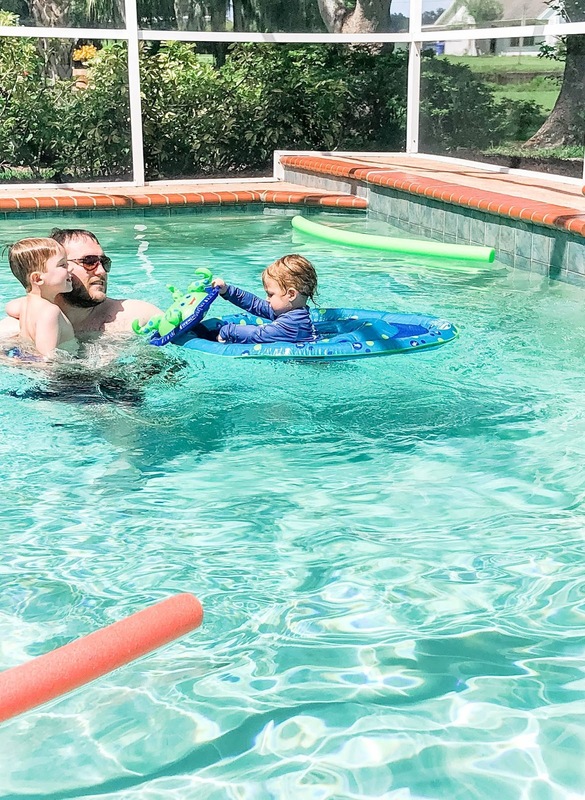 He has also learned to kick his legs back and forth to get him to start moving in the water and knows if he leans a little forward it propels him. I love the float and that it offers a canopy for when the sun is shining bright, and he won’t think twice about a hat. This also folds down for easy travel or storage. We love taking it to friends houses or the beach without it taking up a lot of room. We have utilized this float for many years now starting with my oldest who began to swim independently at age 3. 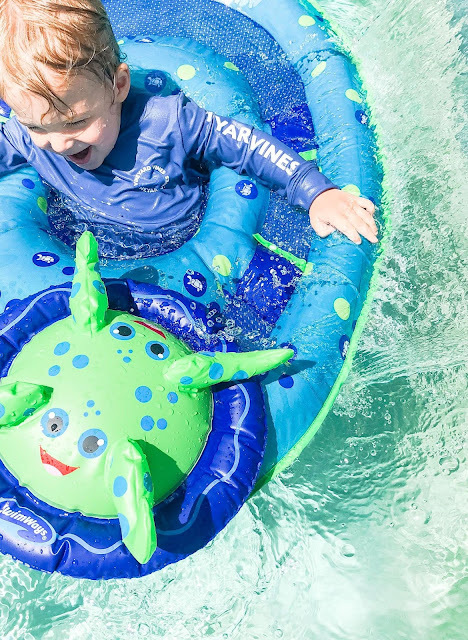 Swimways is an industry leader in helping kids learn to swim, and the spring float has even won the National Parenting Center Seal of Approval Award. This interactive octopus float is ideal for babies 9-24 months and is the #1 selling baby float in the U.S. It has received four and five star ratings for many years now by consumers. For baby it offers a play station that includes a squeaker, rattle, stacking rings, teether, and a soft touch star. For parents if offers an added outer ring for added stability, a soft seat for baby, safety valves and dual air chambers for added security—and the best part, it folds into a compact circle for easy storage and portability.